It has finally happened... all my hard work, blood, sweat, and rambling has finally paid off! Sometimes I don’t think people understand what I must go through in order to make a blog post. First, I have to find my “happy place.” Sounds simple enough right? WRONG! That place just happens to be deep within The Himalayas. I dub my sanctuary: Cryton’s Crest. Please don’t trespass, it’s a sacred place and I have a dozen highly-trained ninja bush babies standing guard at all times. So, I must travel to and transverse The Himalayas; no easy feat. Secondly, I have to get by The Guardian of the Pass. He's never told me his name, but I call him Jedidiah. Jed is a mountain goat and Jed is a prick, for lack of a better word. Each time I make the climb to my sanctuary Jed is there to intercept me and an epic battle of strength and wit ensues. I can’t tell if this is ironic being I’m a Capricorn. In the end, I always win. Always, because I'm king of my mountain. No man-eating, bloodthirsty, vertically-challenged runt of a mountain goat is going to change that! When I reach Cryton’s Crest, and have rested — healing my wounds, both physical and emotional — for 3 days and 3 nights, I begin the creative process of writing a new blog entry. Once complete, I make the trek back home to The States. On my way out of The Himalayas, Jed is there... always ahead of me... always watching me. He never launches an assault when I leave, biding his time. He knows I’ll be returning to Cryton’s Crest soon enough. It’s only a matter of time. BUT, just like my journey to Cryton’s Crest, there are challenges to overcome before I can accept the award. Rules. 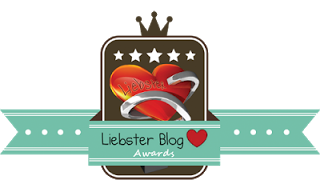 The first rule of the Liebster Award Club is we don’t talk about the Lieb... Sorry, wrong club. The award has been posted and I’d like to give a big, warm thank you to Kirsten at Black Coffee and Cigarettes for nominating and presenting the award to me! She also blogs at: Just Ermie & Short Story Ideas Please take the time to check them out (I’ll be doing the same)! I had an irrational fear that I may die at the age of 32. No worries, I lived, but 32 has now replaced by two other ages. dun Dun DUN! I’ve associated with people for years (both online and off) who have never known my real name. I have habit of making up words and phrases. I'm extremely close to friends and family. I’ve tried Frosted Flakes with orange juice instead of milk. After 3 times, I think I may have kind of sort of possibly almost liked it a little? My favorite color is Grey. Yes, it is a color! The darker renditions of Purple and Blue fight for second place. I'm a geek and love movies, music, video/board/card games and much much more. I have never paid for cable TV, nor have I watched standard TV at home in over 7 years. I think my cat is a secret agent of Jed and is plotting to kill me. Well, I don’t much like coffee, but I do drink it on Thursdays now. If I have coffee I like it any way in which it no longer tastes like coffee. Chocolatey will suffice! 2. If you were a sandwich, which type of sandwich would you be? Why? Hmmm, interesting question. I’m not sure. I’d have to say an Italian BMT from subway, because I eat so many of them I’m likely already underway to becoming one myself. 3. What is the strangest job you’ve ever done? Unfortunately, I’ve never really had a strange job. Kind of always had the boring, mundane ones. 4. If you could be invisible for a day, would you use your invisibility for good or for evil? I would struggle with the Evil aspects for a while, but ultimately believe I would side with the forces of good. *sigh* So boring lol. 5. Other than invisibility, what skill of talent would you like to have? I will impose a superpower here (like invisibility). The power to read minds, as I'm always obsessed with knowing the truth. Having this power may make me go mad, though. This question gets me every time. I swear I had a story saved just for such an occasion, but it seems I’ve forgotten it. Considering I have anxiety (or social anxiety) a lot of moments which aren’t actually embarrassing have that feeling associated with it to me. 7. If you could commit one crime and get away with it, what would it be? Easy, robbing a bank. I know it's cliche, but it’s all about the bling, baby! Is money bling? Or is just bling... bling? Okay, I mean... Show me the money, baby! I love Apple Pie ice cream! 9. If you could be a fictional character from film or literature, who would you be? Oh lord. I’d love to be either Sherlock Holmes, Malcom Reynolds, Spike Spiegel, or John McClane. Each are awesomely badass in their own way. Adding in John Locke from LOST! 10. What is your favorite song lyric? Well, I love way too much music. Lately, however, I’ve been obsessed with “If I had a Heart” by Fever Ray. 11. If you could rule the world for a day, what would you change? Considering most any change you attempted to make in one day wouldn’t be adhered to once you no longer ruled the world, I would attempt to accumulate all the hidden/secret knowledges of the world. Then the following day, I would begin the rest of my life on the run from countless government agencies and secret societies that wanted me dead for possessing said knowledge. This is going to be hard. Partially because I haven’t read many blogs lately (especially ones that would qualify the "200 or less followers" prerequisite), but also many people I met who did blog have now given it up for the time being. I’d like to nominate active bloggers, naturally. I’m going to attempt to half/half this. A handful of blogs I know/follow and some that are completely new to me I’d find interesting/follow. Holy hell, that list took over 3 hours to make! I may need a moment to crawl up into the fetal position in the corner and cry for a while. Those are my chosen nominees. I will be following along with a handful of them through the A to Z challenge. Visit their blogs! If nominated and wishing to accept the award, please remember to answer these questions about yourself in your post. If you were resurrected as an animal, what would you want to be? Why? What is the last book you read and/or are currently reading? Have you ever participated in NaNoWriMo or the A to Z Challenge before? If so, what were your experiences like? What is (or was) your most anticipated movie to be released in 2013? Who was your first movie crush? Do you believe in the supernatural? If so, any experiences? That took a lot longer than I anticipated, but was well worth the effort! I hope the nominees enjoy the post and questions. Looking forward to reading their posts. Some scrapped questions included: How much wood could a woodchuck chuck, if a woodchuck could chuck wood? Did Han shoot first? Does a bear shi... yeah, I think you get the drift. I want to thank Kirsten at Black Coffee and Cigarettes again for nominating me! That was a lot of fun and a great honor to be included in this award ceremony. Good luck to those nominees, and everyone participating in the A to Z Challenge, Camp NaNoWriMo, and/or any other events this month! Great post and love your answers, especially no. 11! Thank you! I'm blushing a bit. Sometimes, as a blogger, we wonder if anyone is reading! A-Z! That seems to intimidating! @Tesla - I'm kind of surprised lol, but very appreciative! @Kirsten - I am in complete agreement... they are all plotting. Thank you again, and good luck to you, as well. Can't wait to read your entries! @Rebeccah - I thought it was a lot of fun, as well. Was the first time ever doing anything like it (not that I've been blogging long). Good luck with the challenge. Love the info. about Jed. haha. Thanks for the laugh! And I just want to say that I appreciate you always keeping up with my blog, it's been super-nice to always see your comments. 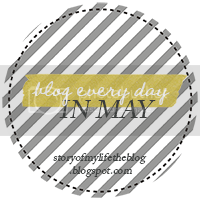 I'll make sure to return the favor now that I'm back in the blogosphere! Yeah, it was time consuming, but well worth it. A lot of fun, and like you said a great way to get to know people better. For some reason I don't think many people know about Apple Pie ice cream, which is a shame :( It's delicious! Glad you liked the post, I have my moments sometimes occasionally. Your blog was actually one of the first I went to for the award, but you had over the 200 mark, and you were "moving." I'm glad you're back (I honestly was thinking you may be gone for months), the blogosphere can always use a little more Tamara! Welcome back! Oh My Nuts! Leave a message already, would ya?! Oh My Nuts, a Button!